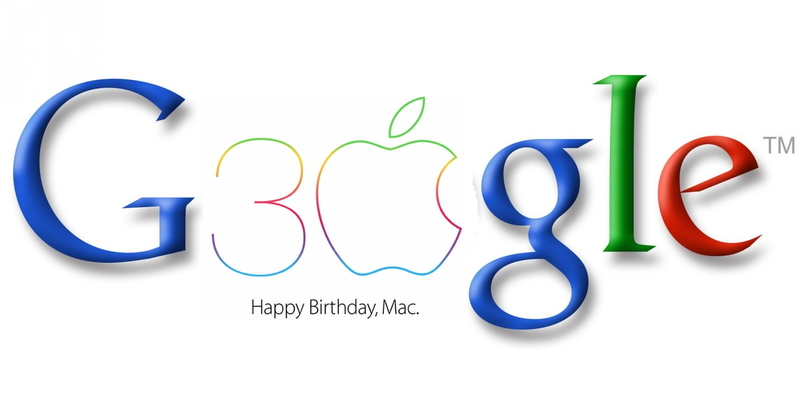 Would it have killed Google to show some respect and do a bit of logowork to wish Mac a happy 30th? No loyalty oaths necessary here. I bought my first Mac in yes, 1984. And 30 years later I tap out this text on a Mac. Had to replace the trackpad yesterday, which exorcised the ghost in the machine, but that’s minor in the long run of 30 years. Happy 30 Mac!